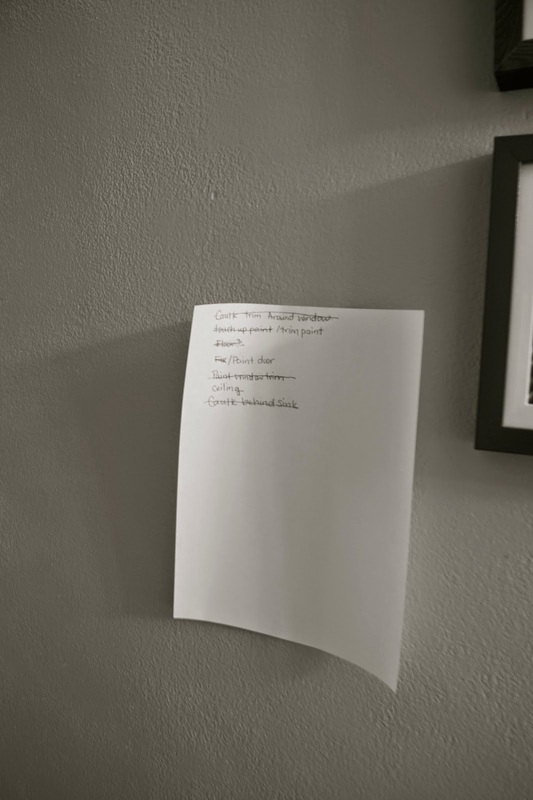 One thing we struggle with with home improvement projects is keeping our To-Do list organized in a place where both Nate and I can access and see regularly (otherwise it's super easy to just not check that list). We've tried shared electronic list but checking it just adds another step, and when we only have a couple of free minutes, it usually results in very little getting done (especially during the week). So recently, we decided to go old school. 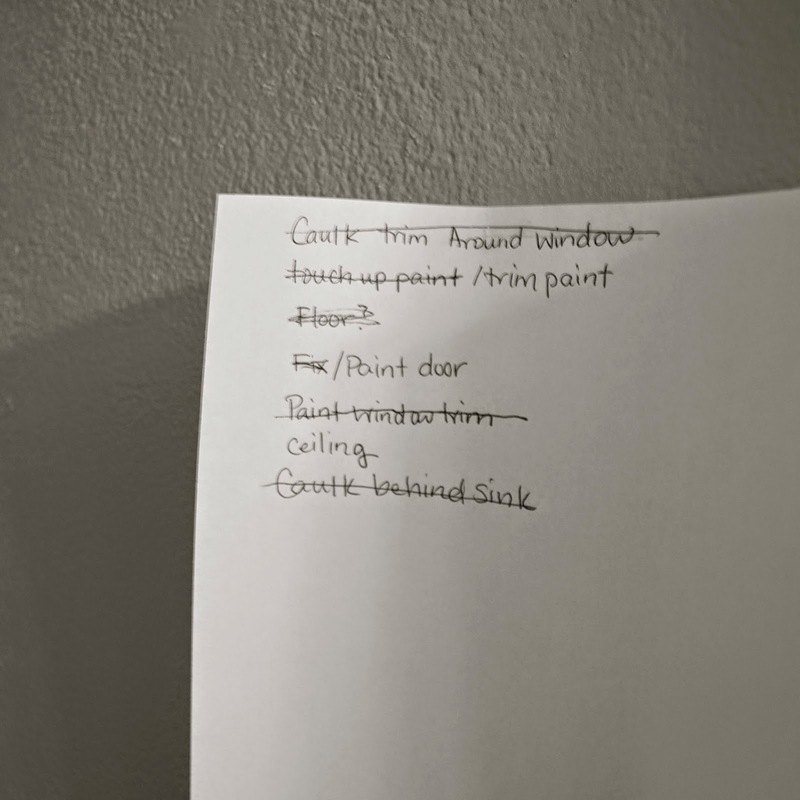 I usually notice all the little things that need to be done in a room when I'm cleaning it, so now when I'm cleaning a room, I also generate a to-do list.... using a piece of paper and a pen (gasp!)... and then tape it up at eye level where it will be seen every time the room is used. As an added help, we've been trying to leave the tools needed to finish the projects basically within arms reach of the room. That way, if we have 10 minutes, it's super easy to cross something off our list. So if you've been noticing a lot of bathroom posts lately, this is why. We are soooo close to really saying that room is finished after about 2 years of just never getting around to the last little things that really bug us. No more excuses... this method is really getting things done!